This month CES, the world’s largest consumer electronics trade show, took place in Las Vegas, with many Japanese companies showcasing new products. On: Tech looks at a few that hope to change the way we monitor and use information. Gadget maker Cerevo is a CES regular and, as usual, it showcased various new products, many of which this time are related to sports. 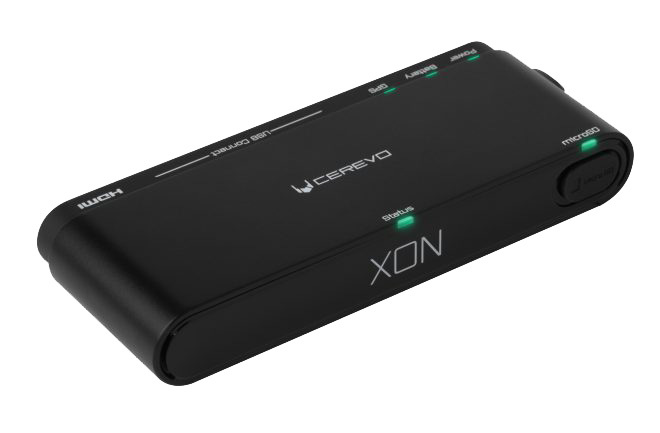 ZECH-1 is a new lineup for Cerevo’s sports gadget brand XON and is a vehicle sensor device for motor sports. It connects wirelessly to a vehicle’s OBD-II (On-board diagnostics II) — the onboard computer most cars now have for mechanics to check diagnostics — and can relay information to others about the vehicle’s running state in real time. 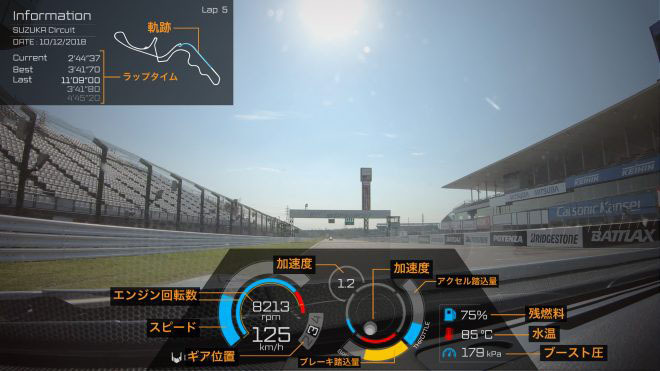 Its six-axis sensor and GPS records the car’s lap position, speed, acceleration, angular velocity and other changes in its condition as it is being driven. All this can be viewed via a graphic overlay of dials and icons on the camera footage taken from the windshield of the car. 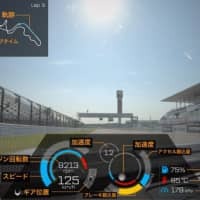 Designed to give racing team members in the pit real-time information on a racing car, the device connects to 3G, LTE or wireless LAN and is powered by both a car battery and an external battery. Scheduled for release in summer, the ZECH-1 is not something for the ordinary driver, but it could change the face of racing. Do you want to keep track of your health, but are finding it a little depressing weighing yourself and checking other details? Tanita, known for producing smart scales and other health monitoring equipment, has come up with a way to make it more fun. 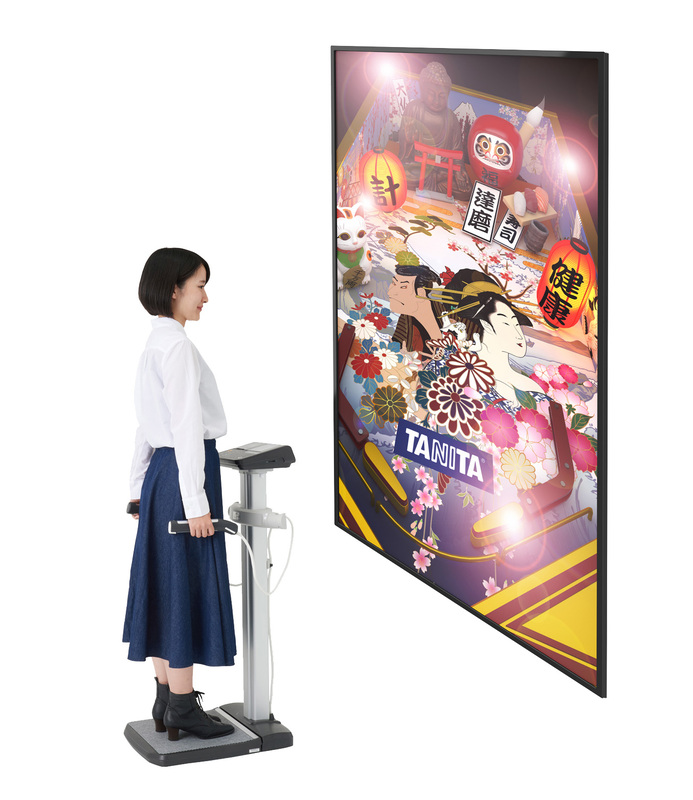 Tanita Pinball, currently in the conceptual model phase, can take 13 health measurements, including weight, BMI and muscle mass, while the subject plays pinball. It uses the Tanita DC-13C professional smart scale, which takes readings from an electronic current that passes through the body. Players step onto the scales and hold two handles while facing a large screen depicting a pinball game. After the measurements are taken, balls appear on the screen and players can control the pinball flippers using buttons on the two handles, while their results are printed. The type of game shown on the screen depends on the measurements taken, so each time users take their measurements, a different pinball layout is likely to appear onscreen. Tanita’s aim is to encourage people to monitor their health by making it less daunting and boring. Though the idea was showcased at CES, the company hasn’t announced a release date yet. Autonomous driving vehicles have been a hot topic of the tech industry for some time, but Whill have found another universal application for the concept. 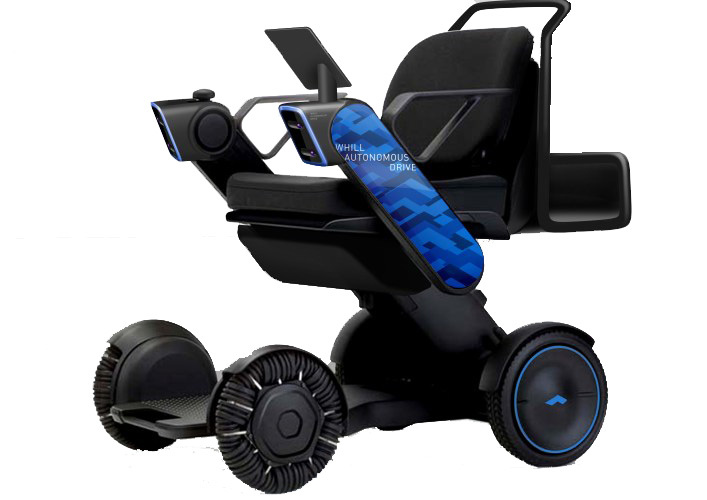 The startup has developed autonomous electric wheelchairs for facilities that lend them out to the public. Designed to automatically return to its docking station, the Whill is aimed at places like airports, hospitals, shopping malls and tourist spots. Mounted on the arms of the wheelchair are stereo cameras, which use wide angle views to determine its location and detect obstacles, while sensors prevent collisions. Information collected by the cameras and sensors is also checked against pre-installed map information, to ensure the wheelchair’s location is correctly recognized. Whill envisions its self-driving wheelchair being able to pick up people, drop them off and return to docking stations, and it is already discussing options with several airports and companies. But its long-term plan is to see the Whill in more everyday situations, where users can simply program it via an app and sit back and relax.